Orthokeratology provides excellent visual outcomes for many patients. But sometimes, the usual calculations for the treatment lens may not be enough to get the best possible visual outcome. 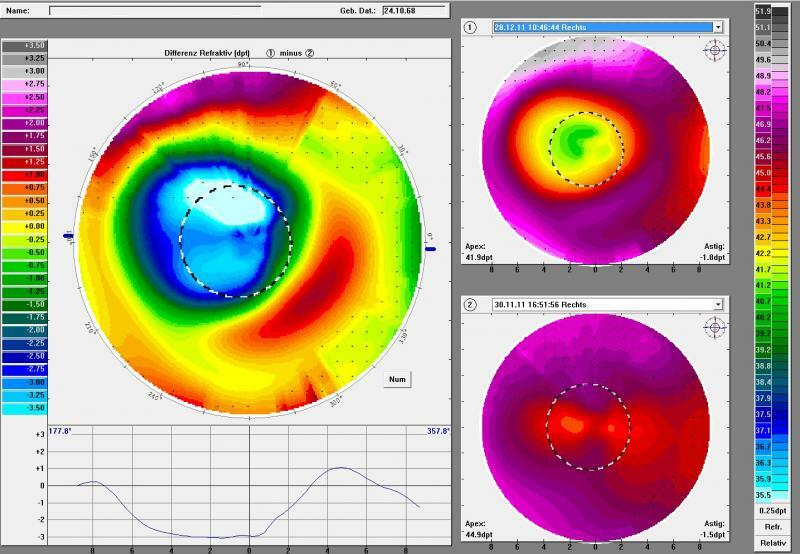 In this case report, we will discuss the possible troubleshooting for a decentered orthokeratology lens that results in an insufficient visual outcome. The situation for the right eye and the left eye were similar in this patient; we will discuss the management for the right eye. 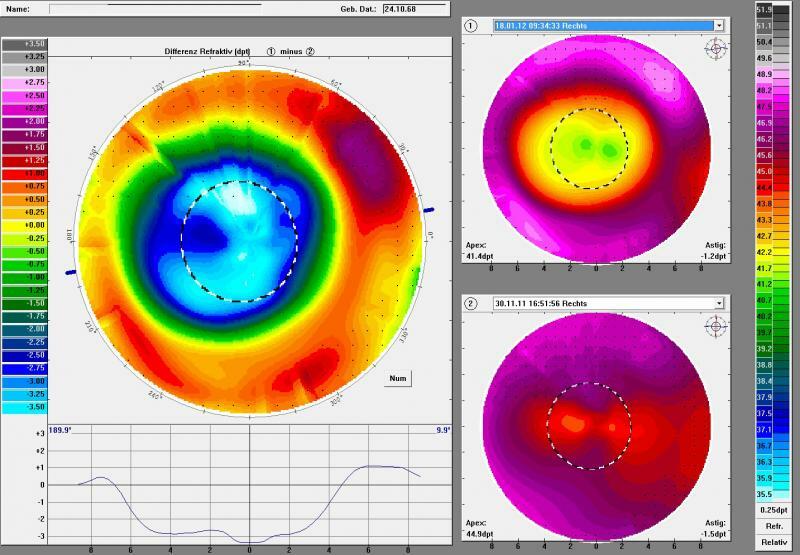 A 48-year-old female started wearing orthokeratology lenses in 2011. Initial refraction was OD -2.50 -1.00 x 0° and OS -2.50 -0.50 x 0°. 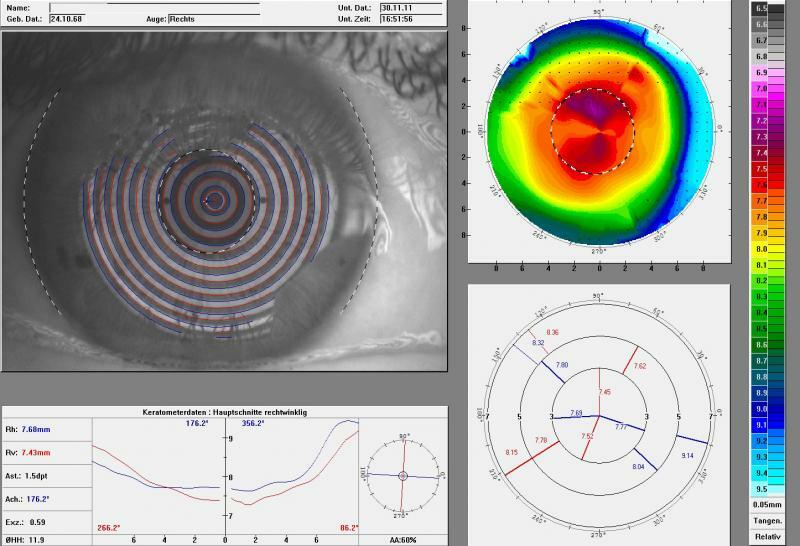 Corneal topography showed 1.50D of with-the-rule corneal astigmatism (Figure 1). 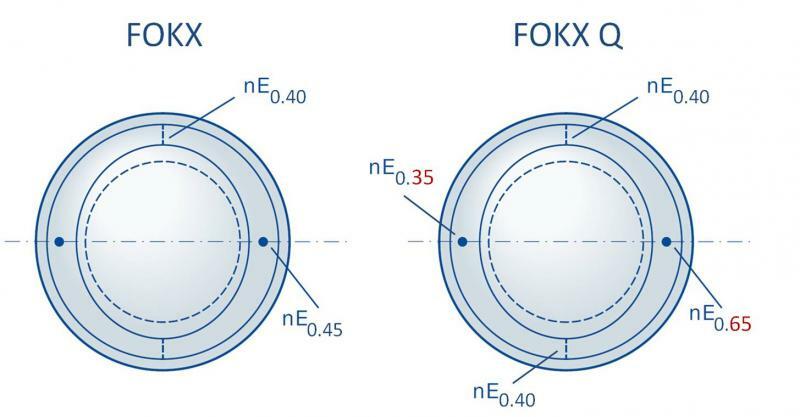 After 1 week of wearing toric orthokeratology lenses, the topography showed a temporally decentered optical zone that was tilted as well, all caused by a lens that was not perfectly aligned to the geometric center of the cornea (Figure 2). Due to this decentration, the patient complained of insufficient vision accompanied by halos, reduced contrast, shadows, etc. The power of the treatment zone was accurate, just not perfectly aligned with the patient’s pupil area. To adjust the alignment, a quadrant-specific contact lens was needed. With this design, the eccentricity can be chosen individually in every quadrant. For better horizontal centration, the temporal eccentricity had to be less than the nasal eccentricity, as is shown in Figure 3 with the different E values expressed. Good fit and centration of the contact lens is the key in orthokeratology. Sometimes even a slight decentration of the lens can cause an insufficient visual result. A quadrant-specific design can help solve this problem by aligning the optical zone within the pupil. Once the lens is perfectly centered, the optical zone diameter as well as the amount of corrected myopia will increase, and therefore, the patient’s visual experience will improve as well. 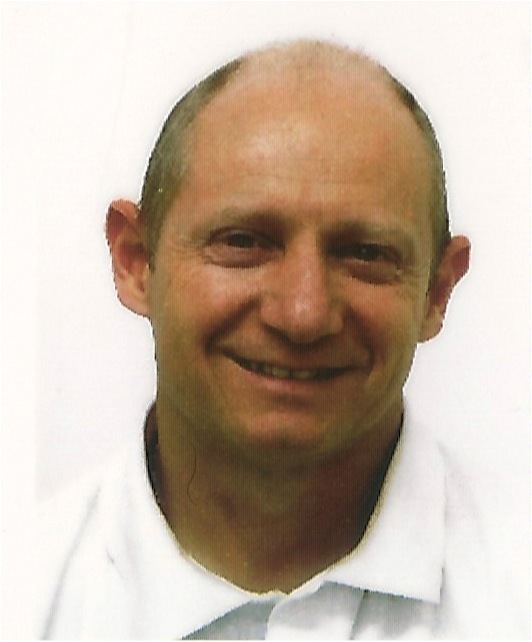 Michael Baertschi was the senior optometrist at the University Eyehospital Basel from 2000 to 2007. He is the owner of Kontaktlinsenstudio Baertschi in Bern, Switzerland and the CEO of Eyeness AG in Bern. Michael graduated from Pennsylvania College of Optometry as MSc Optom. and from the University of Bern as Mmed in Education and he did his PhD in Biomedicine at Salus University﻿ in the USA. Michael is a fellow of the American Academy of Optometry and president of the Swiss Interlens group.